In our earlier blog, we took you through the journey of the kitchen from the middle ages to the late 1950s. And now, here are more stories from the 1960s to the present as well as what the future of kitchens looks like. 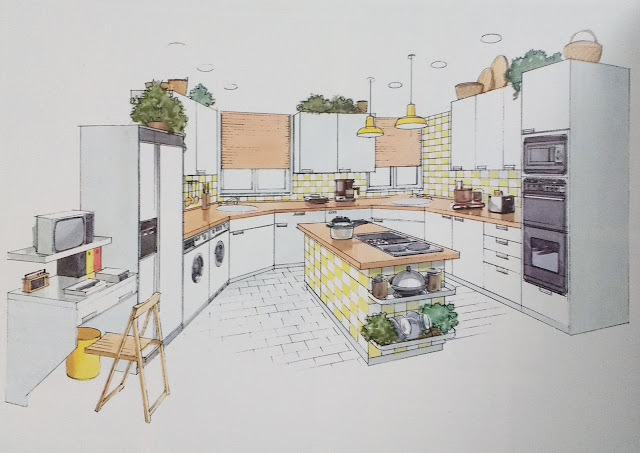 As the swinging sixties arrived, pop artists had their influence over interior design and kitchens took up the tune of minimalism and funky colours. In the 60’s and 70’s other societal changes were taking place that impacted the style of the kitchen. It was an era of liberation for women. More women were joining the workforce, and therefore looking for more time-saving and convenient cooking and cleaning appliances was ideal during the time. Dishwashers, garbage disposals, and refrigerators with freezers were gaining popularity, as well as the brand new ultimate time-saver, the microwave, which quickly became a staple in every home. For the first time, the sale of microwaves exceeded that of gas ranges. The kitchens of the 1970s got as groovy as the decade. Appliances and cabinetry were appearing in a wide range of colours. 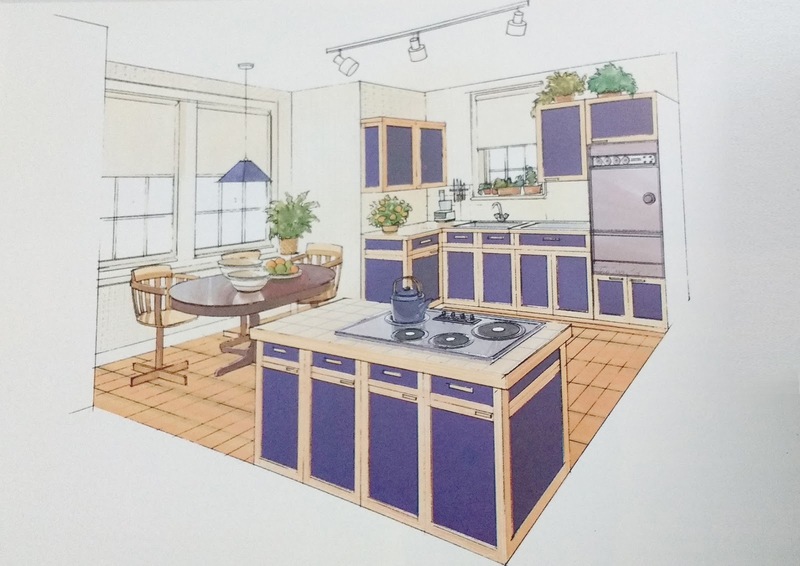 Kitchens were being designed with curved features, bevelled edges and circular countertops. Wood is becoming a popular option for cabinetry. The roots of contemporary kitchen design - like the work triangle, islands, raised bars - were born of this era, which has continued to be a staple in modern day kitchens everywhere. It was the age of the breakfast bar, the wall mounted oven and the island bench. Lime green, red, mustard, and orange colours were found in nearly every aspect of kitchens, from the countertops to the wallpaper. Many of the colour trends from 1960s carried over into the 1970s, though green hints gave way to harvest gold- that muted, earthy yellow that has become very reminiscent of the era. People have yet to start taking a personal interest in the design of their kitchen so layouts aren't the greatest either. Architects begin to devote a lot of study to the best layouts and homeowners really take an interest in decorating by starting to match the appliances with countertops and flooring. Appliances are generally black, white or ivory. Tasteful matching in terms of cabinets, flooring, and countertops became trendy, with warmer colours, oak cabinets, and wooden furniture making their way into the kitchen. As Martha Stewart makes her mark on the food world, kitchens include more shelving to display cookbooks along with wine and pot racks, and pegboards allowing people to show off their accessories when not using them. Designers would build the occasional burst of colour to break up the pattern. Rather than hiding dishes and pans in cabinets and drawers, many kitchens featured open space to display specialised cookware. In 1990s kitchens become a space for entertaining, they grow even larger and open floor plans or open concept spaces become popular. Appliances make a move towards durable stainless steel. In the 90s, people began to gravitate toward a more minimalist feel, using a lot of natural oak and other light-coloured woods. If homeowners painted, they often used bright colours and whites. Large kitchen islands doubled as bars, or even second dining tables, and were accompanied by tall chairs or stools. The kitchen hasn’t stopped evolving, in fact, it has become even more efficient. There’s a drastic change socially and we see that women are no longer confined to the kitchen and men began to assume more of a care-taking role in the home. The stigma of cooking as a domestic chore for women faded, and food preparation was reinvented as both “fine art” and a sign of affluence. With the internet, mobile, smart, and now the wireless technology. There is also a parallel trend towards connectivity, integrated appliances and using wireless technology throughout the home. More gadgets are serving multiple purposes, as are materials used within the kitchen design. Refrigerators can tell our phones that we’re out of milk and our tablets can monitor our recipes and food intake. More gadgets are serving multiple purposes as are materials used within the kitchen design. 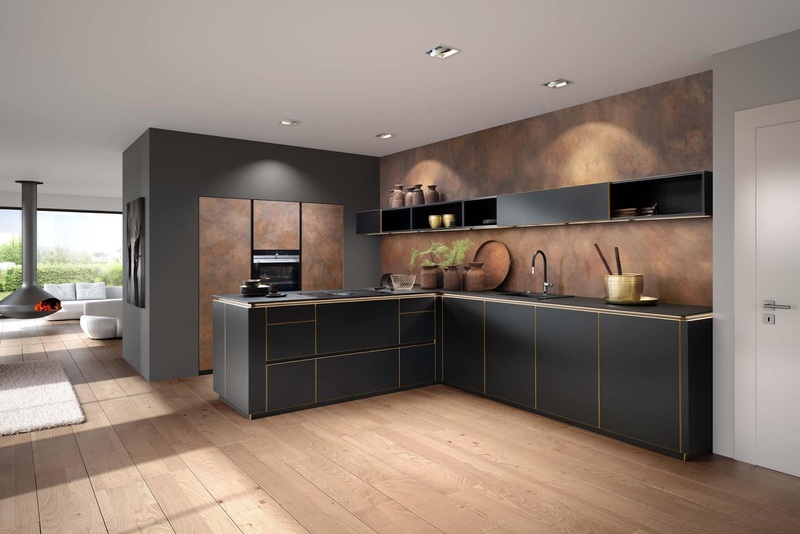 Countertops aren't just all about marble and granite, homeowners are branching out into many contemporary finishes available, including stainless steel, concrete and slate. Instant internet access allows us to get inspiration from anywhere and has led to new kitchen designs all the time. During the last 20 years, kitchens have evolved to become the heart of the home. The kitchen has located to the front of the house and blends with the living space. That’s where Nolte’s ‘The Social Kitchen’ comes into the picture. 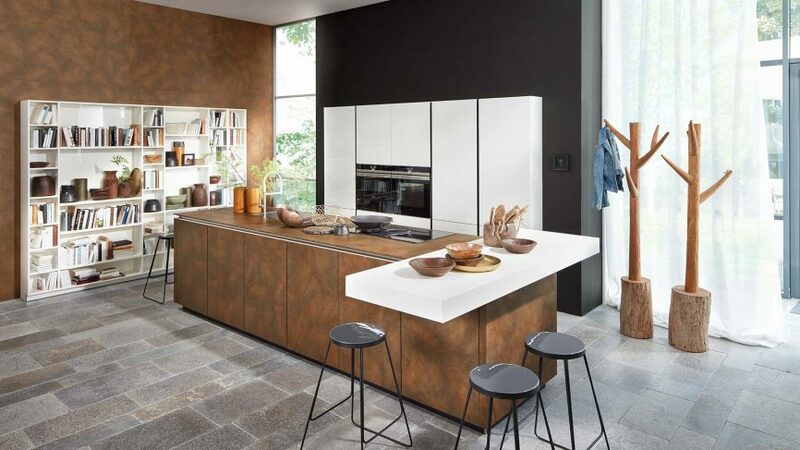 Nolte kitchens go with the trends and are designed around the people and their lifestyle. The kitchen is no longer designed for the efficiency of one person instead it’s a place where family and friends come together and all of them actively participate in the preparation of the meal along with entertainment and fun. Kitchens are now woven into the social aspect of our lives – it’s the space where the kids are doing their homework while Mom or Dad prepare a meal, where guests, friends and family gather. Where thoughts are shared and memories made. It's the multi-faceted heart of the beautiful home. 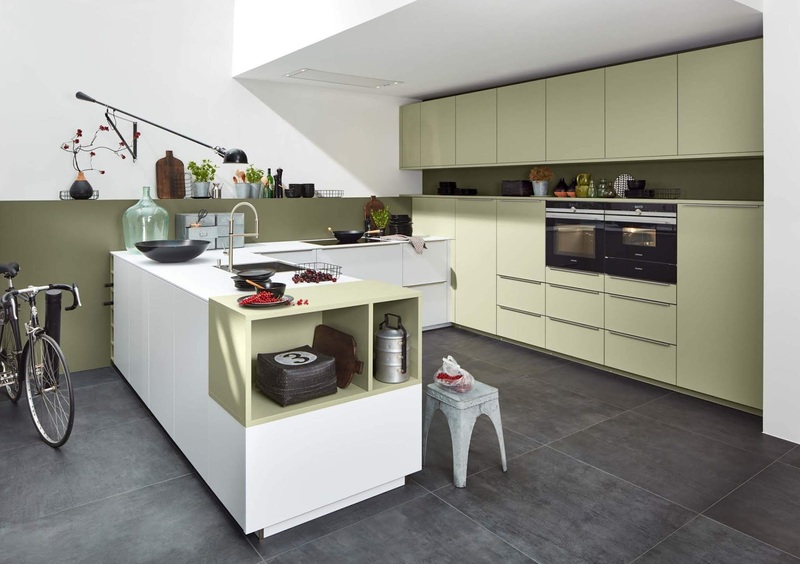 Nolte kitchens are designed to keep style, functionality and usage on par. Gone are the days when the kitchen was designed only to prepare the meals of the day. Kitchens today double up as spaces where you catch up with your family and entertain friends. Keeping this in mind, Nolte kitchen designs can be customized and adapted for large and small families as well as individuals who enjoy good design. Apart from the kitchen becoming a part of the social ethos, there’s also the technological side to it. Voice control technology in the kitchen began with Alexa and Google Assistant integration. We’re currently asking Alexa to find recipes, create grocery lists, order products online. Appliance brands are integrating Alexa and other services into their products to manage appliance functions and to engineer appliances within the same brand to talk to each other. Besides, Microwave voice control is on the horizon. Maybe in the near future you can ask Alexa or Google Assistant when the dishwasher will be finished. Use of voice technology to preheat the oven or to change the oven’s temperature. Set an oven timer. How much time is remaining for the oven timer? Is the ice maker, full? Tell the dishwasher what program to run next. We are not far from “Alexa, cook me dinner".